Tagetes lucida is robustly fragrant. Cut the flowers for the house and smell the foliage all day. Tagetes lucida is a perennial that grows 18" to 30" tall. The golden yellow flowers of Mexican Tarragon are used for creating dye, and the foliage for spicing soups and medicine. Tagetes lucida does well in the well drained moderately watered landscape but established plants are highly forgiving and will persist reasonably with a pretty severe drought. Mexican Tarragon will bloom sparsely in the Spring and then much more completely in late Summer and Fall. Tagetes lucida is Winter hardy into the low 20s. 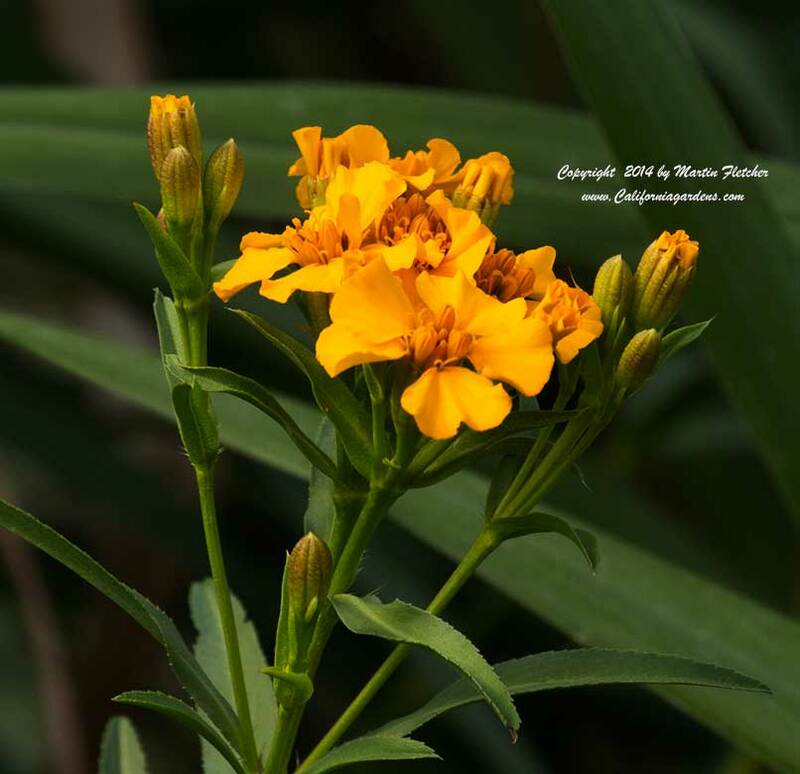 Tagetes lucida is a great addition to the Butterfly Garden where it attracts Painted Lady in the Spring and the Dwarf Yellow Sulfur Butterflies Summer through frost. Yellow Flowers of Tagetes lucida - Mexican Tarragon. High resolution photos are part of our garden image collection.